I had a really splendid meal at the Berkeley Arms in Wymondham last week (it’s around half-way between Melton and Oakham). 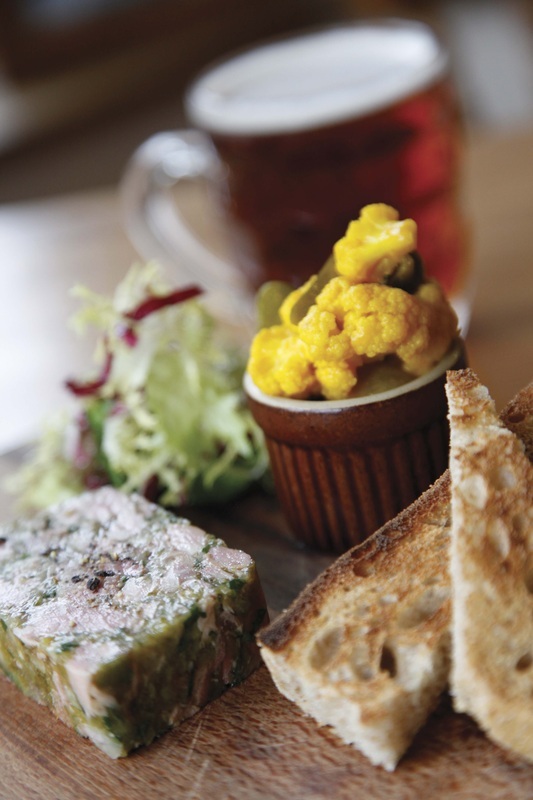 Chef Neil and front of house manger Louise met at Hambleton Hall and their pedigree is clear. 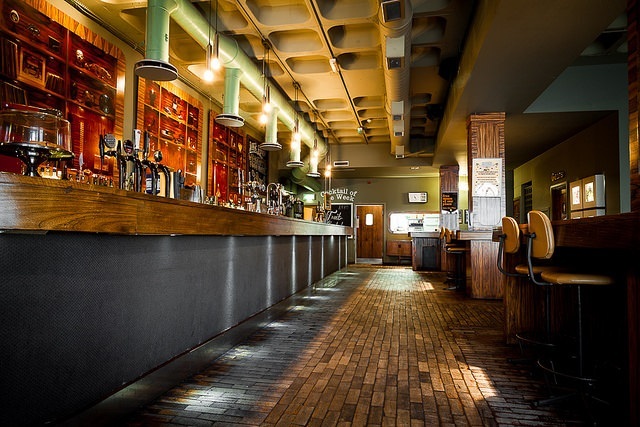 The pub runs with relaxed skill that makes the customer feel important without any formality. We started with close-textured but light and springy Hambleton bread with great salty butter. Starters of terrine of ham hock with a sharp, crunchy piccallili and a pork and black pudding paté with apple compote were beautifully made and presented – great technique. A smoked salmon and crab roulade also had salsa of avocado with finely diced cucumber and showed great flavour combinations. A main of beef fillet had was superb and my braised leg of hare was perfect February comfort food, brilliantly matched with poached pear and caramelised walnuts for crunch and taste. There was a more delicate approach on show with tender loin of rabbit that had been wrapped in spinach and parma ham. The dish looked stunning and again showed a high level of classic skills. Saucing on all three dishes was impeccable. Perfect rice pudding had a brulée topping and a side of brandy-infused prunes, while a hefty vanilla pannacotta wobbled provocatively, surrounded by pared segments of blood orange. Highly recommended for those wanting great food in a country pub environment. Booking needed, certainly at weekends. After the good news for pizza lovers with last week’s opening of Peter and that’s enough in the old Welford Place, comes good news for beer drinkers. After a couple of false alarm rumours, there is now confirmation of Brewdog opening in Leicester. They will be sited in what was previously Will’s Bar on Friar Lane in the city centre (sort of round the back of the market). Work starts immediately and it will open in April with some 20 beer taps and a food menu. Also promised are vintage pinball and arcade games. Just catching up here with links to a couple of my reviews in the Leicester Mercury. Cultura is a new bar and restaurant near me in Clarendon Park, Leicester. It’s just the kind of place the area was crying out for and seems to be doing well. Reports from friends are very enthusiastic about the service and atmosphere and most seem to have agreed with my verdict of great promise with the occasional sign that some dishes aren’t quite the finished item. At The Bootroom the issue is maybe the other way around. Another lovely, stylish venue with great staff and there was no real issue with anything on the plate, it was all very well done but just a mite dull. For a place with the reputation and the evident skill, it all just seemed a bit too safe. Meanwhile there is the curious case of 19Gale – a huge, expensively done out restaurant in the heart of the Cultural Quarter with a suite of elaborately-themed private karaoke rooms which can cater for several hundred people. The food from the traditionally-structured three course menu is beautifully presented and a Western fine dining take on Chinese food – actually probably more accurately a Chinese take on Western fine-dining – though I’d really like to go with a group and try selections from the Chinese menu. Service was lovely and it’s a shame that at the moment the place seems to be under used. There were five or six tables in use when we went – the same as The Bootroom – but here we rattled around a bit. With a more or less full restaurant I’m sure the place would really buzz. It was good to attend a busy pre-launch party at North’s Bar and Kitchen on Hinckley Rd last week. Sited in the same corner building as the much-loved Entropy, it’s been smartened up outside and refitted inside, retaining the two-sided layout and (semi-)open kitchen, but extending the bar and upgrading the outdoor area at the back. The food doesn’t try and replicate the high-end approach of its predecessor, but does promise simple, affordable British and European food, cooked onsite and with a commitment to local sourcing. So for the evening menu starters might be mushrooms with garlic and parsley or whitebait, mains parma-wrapped chicken breast or goats cheese and caramelised onion tartlet. There’s bar, business, and restaurant experience in the management team and it’s good to see a stylish independent opening up here. West End folk will be pleased to see it retains an all day approach and there seems no reason why it won’t become a popular place to while away time with a coffee and sandwich, and for those lazy Sundays with the paper that turn into a meet-up with friends, a late lunch and few glasses of wine.